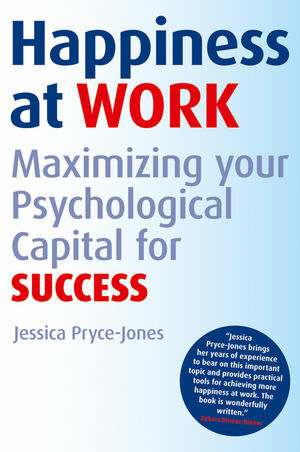 Sharing the results of her four-year research journey in simple, jargon-free language, Pryce-Jones exposes the secrets of being happy at work. Jessica Pryce-Jones is CEO and founder of the Oxford-based consultancy iOpener, which enables people to improve their performance and organizations to develop sustainably. A regular speaker and media commentator, she featured in the BBC series Making Slough Happy and CNN’s special on happiness at work. Pryce-Jones teaches and coaches leaders at London Business School, Chicago Booth, Saïd Business School in Oxford, and Judge Business School in Cambridge. Clients include multinationals in banking, IT, health, publishing, and engineering as well as the public and not-for-profit sectors. 1 Why Happiness at Work? Why Now? 3 Contribution from the Inside-Out. 4 Contribution from the Outside-In. 9 Pride, Trust, and Recognition. Happiness at Work: A Conclusion.